4k00:12Family of elephants cooling off in shadows under a tree, hiding from heat of scorching sun in colorful, dry savanna fields of Tarangire national park in Tanzania, Africa on a bright, hot, sunny day. 4k00:12PERU: Carajia. 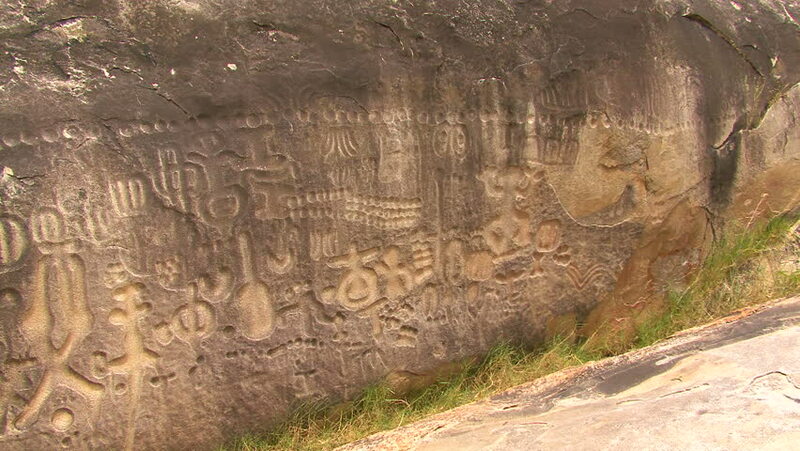 Karajia is a known place of sarcophagi of the pre-inca culture of the Chachapoya in Peru, South America. Aerial video footage. 4k00:12AERIAL: shooting to the drone over the field of arable land. A red tractor clears the field in the fall.